What Makes People Rave About You? 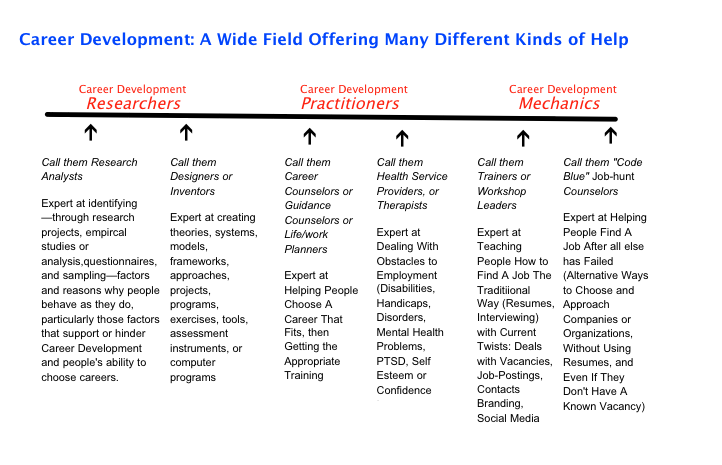 The field of career development is often too-narrowly defined. Many different roles, many different titles, are included in this field. I thought it might be useful to lay these out, in outline form. I presented this at the National Career Development Association's annual conference in June of 2014: If you're in this field or plan to be, which of these six roles or titles do you find grabs you the most? Think about it.